This station is a repetition of techniques already shown. 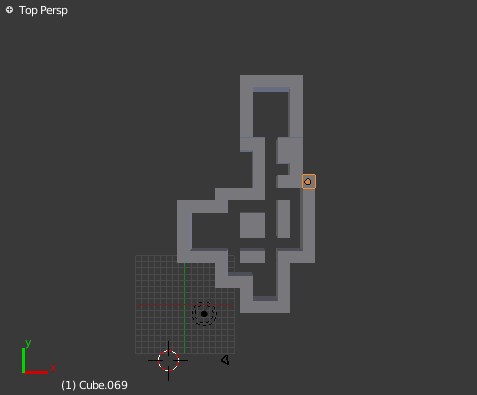 But wait, it is also the starting point for a game that we build in the End of these course. It is named »Sokoban«. Create objects with different shape for each symbol. 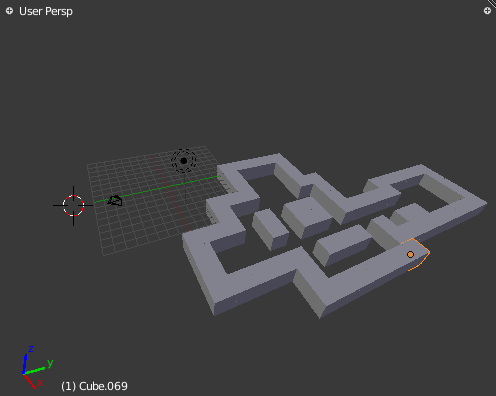 Our starting point is a maze build out of cubes. """Create a maze by adding cube objects"""
The function len gives us the number to iterate in a for loop through the lists. With each comparison we decide to generate a new object otherwise nothing happened. The function is now called with one of the available levels (level_00, level_01,level_02...).